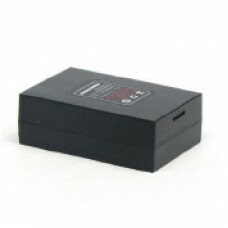 4000 mAh Rechargeable Li-ion Polymer Battery will provide 12 hours of usage at 5 scans/TX/RX per min. Battery for PPT5000, 2000 mAh.. Battery for PPT50002000 mAh Rechargeable Li-ion Po..
USB Cable for PPT5000 is used..
USB Cable for PPT5000used for synchronization and .. Serial Cable for PPT5000 is us..
Pegasus PPT5000 Cable Serial Cable for PPT5000 is..
Cradle PPT5000 Series Charger\Cradle PPT5000 ser.. Battery for PPT5000 , 4000 mAh Rechargeable Li-ion Polymer Battery will provide 12 hours of usage at 5 scans/TX/RX per min. Tags: Battery for PPT5000, 4000 mAh.